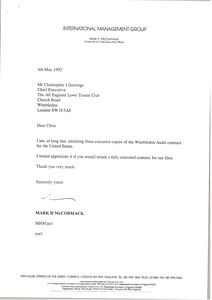 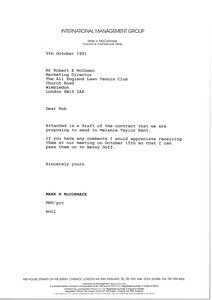 13 results found for: genres:"Contracts"
McCormack sends a draft of the contract between the All England Club, the French Tennis Federation and Aces Productions in connection with a video production on the subject of the history of the four tennis championships making up the Grand Slam of Tennis. 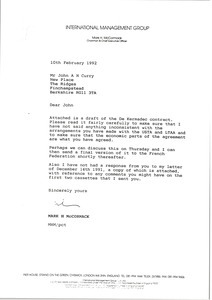 He also resends a letter he wrote to Curry in December regarding two cassettes. 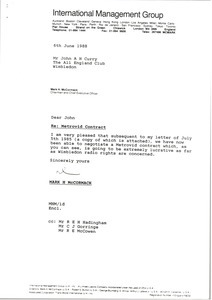 Concerning the attached copy of the NHK contract. 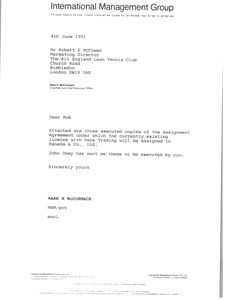 Concerning the attached copies of the Assignment Agreement involving the All England Club, IMG, and Nana Trading Company. 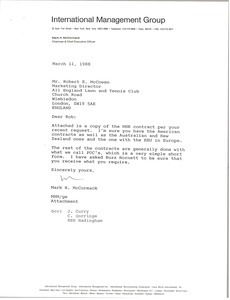 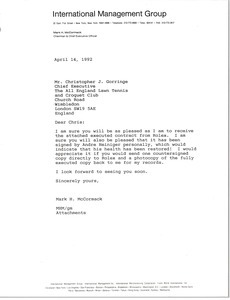 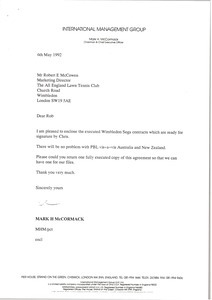 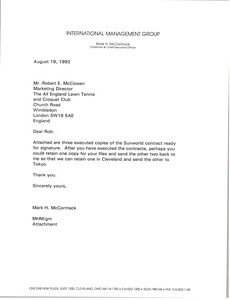 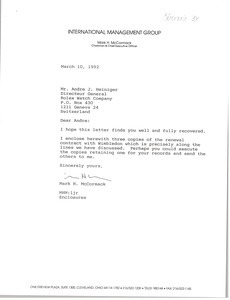 McCormack sends executed copies of the Sunworld contract.